I Hit the 150,000 Mark in Sales! A funny thing happened this weekend. I hit the 150,000 mark in sales only I didn’t even realize it until my friend Kay Bratt asked me this morning about my current sales totals. As of last night, my total sales for eBooks, print books and audiobooks is 150,556. I rarely share figures, but I thought I’d share a few to give self-published authors just starting out hope that they’ll start making sales. 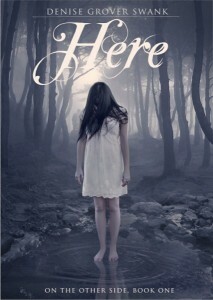 I published my first book Twenty-Eight and a Half Wishes in July 2011. The official release date was July 12, however, I uploaded my eBook formats early, worried I’d screwed them up somehow. (I formatted that first book myself.) And even though I didn’t really announce the eBooks were available on Amazon and Barnes & Noble, some readers still found them and downloaded them. Not that I’m complaining. So the exact number of days Twenty-Eight was available is questionable so we’ll call it the entire month. And in that first month I had 209 sales. A VERY respectable first month. I was told to expect 20. 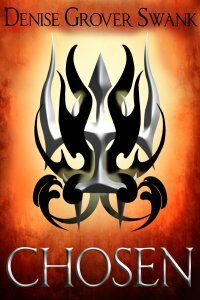 I released Chosen at the end of September, expecting all of those readers of Twenty-Eight to rush over to buy it. Yeah, not so much. See, readers only genre hop if they really, really love an author. And I hadn’t gained that reader trust yet. In early October, I was in a bit of despair. I was selling 3 copies a day of Chosen while I was selling 50-60 of Twenty-Eight. I wondered if New York was right. Maybe paranormal was dead. But I’d enrolled Chosen in two blog tours that ran back to back and by mid November, I was selling over 100 books a day of Chosen. I released Hunted, Chosen’s sequel at the end of November. I also released my YA science fiction romance, Here at the beginning of November. Here also debuted with slow sales and I expected sales to build slowly like the other two. However, other than a few spurts here and there (no pun intended) Here has never been a big seller. Still, with a current to date total in sales of over 14,000, I’m not complaining. The important lesson to learn here is that each book is different. The way Chosen behaves in the market and after promotions is completely different than Twenty-Eight’s behavior. Here has always sold more books at B&N. Why? I have no idea. And let me add that just because a book isn’t selling well now doesn’t mean it’s a lost cause. If your cover is great, your blurb is good and you have excellent reviews, it just might not be that book’s time. But that’s the beauty of eBooks. They are always out there, waiting to be bought. Unlike a traditional book on a bookstore shelf that gets returned in a few months. So let’s look at some numbers. The first month I had one book available with 209 sales. By the end of 2011 I had four books available with a total of 26,691 in sales. I hit 100,000 in sales on May 29 and I hit the 150,000 mark on Saturday, September 15. My biggest selling book is Chosen with over 50,000 sales. Twenty-Nine and a Half Reasons is my lowest selling book*. However, it was released the last week of June, 2012. So over 6000 sales in less than three months isn’t too shabby. *I don’t include my short stories in this category. I currently have six novels available, three short stories and two audiobooks. If your sales are lagging, the best advice I can give you is make sure you are releasing a quality product. Great cover, COPY EDITING, professional formatting. (If you can format it yourself and make it look great, more power to you!) Second, KEEP WRITING AND RELEASING BOOKS. Let’s say I have a book for sale and I only sell 250 copies a month. But then I release three more books and each one is selling 250 copies. In one month, you’re joining the 1000 club! Plus, the more you release, the more you sell. That’s the dirty little secret that a lot of people don’t get. You CAN make money as a self-publised author even if you aren’t a best seller. If you have your books priced so that you make money ($2.99 or more) and you are selling 1000 books or more a month (with several books available, that’s not so inconceivable) you’ll make some nice money. Maybe not enough to live off of. Yet. But keep releasing books. Plus, new releases that are received well will spur sales of your other books within the same genre. My dream was to be a published author. My path wasn’t the one I planned, but it’s so much better. I’m living my dream and so can you. Now get back to writing! Seriously so proud of you! I love that you are living one of your dreams! A very inspirational post. Congrats on your 150,000 mark! Here’s to 200,000 (for both of us) VERY SOON! Huge congratulations to you, Denise! What you’ve achieved is amazing and very inspirational. Thank you for sharing! I love this post, Denise! Woot!! Huge congrats, Denise. I wondered when you’d hit the 150k milestone. This is the type of post that writers need to read. It is inspiring and honest and informative! And knowing your experiences, it shows the value of all of the hard work you have done to make this career happen. Congratulations! Great post! Your “dirty little secret” makes so much sense. I am so glad for you that your dream is really working out for you. Keep writing…because we want to keep reading! Congratulations! That’s so awesome to see that it can be done. One good book at a time. Congratulations! As a fan I definitely loved that you put so many different books out there and that you went so long sleep deprived for our greedy little reader needs ;) I love all of them! What great inspiration! Thanks, Denise! I’m sure with Redemption right around the corner, you’ll surpass 200k in no time. Really appreciate the info. For me, the journey begins on 1/2/13. God bless! Glad I stopped by today. Admirable and inspiring as always, hon. Congrats! Great post. Congrats on 150k, Denise! That’s an awesome cake. Thanks for sharing and for your encouraging words! You have reaped the benefits of being a hard working writer and putting out stellar product! Many congrats! Congratulations, Denise! And thanks for sharing and inspiring the rest of us. Very inspirational, Denise! Thanks for sharing. Wonderful news, Denise! Congratulations on all of your success. Thanks for sharing. Congratulations, Denise. I’m new to publishing – my first book was released three weeks ago – so I’m grateful to you for sharing your experience and your success. Congratulations! I can’t tell you how big of an inspiration you are to me. Your success keeps me going! I was rereading the transcript from your Savvy Authors chat and decided to drop by. I’m thrilled to read about your success! Stories like yours are inspiring. Congratulations!